Bid of £17.28 per share is up from Comcast's previous offer of £14.75, while Fox offered £15.67 during the auction. Comcast looks to have won the battle to buy Sky with a £29.7bn bid that offers shareholders 10% more than Fox's final offer. The two suitors went through an auction process today under rules set by The Takeover Panel to resolve the contest and flush out final bids. The result was that Comcast has offered £17.28 per share and Fox £15.67, upping their previous offers from £14.75 and £14 respectively. Shareholders can accept either of the two bids, which are both in cash, and will have more information to act upon this week because the two parties are obliged to publish formal offer documents on or before Thursday 27 September. In Sky, the winner is acquiring a business that serves 23 million customers in seven European countries and generated revenue of £13.6bn in the year to 30 June. Set up as a satellite TV broadcaster in 1989, it has diversified into broadband, streaming, news provision and original content. Sky is also a big player in the UK advertising sales market, handling not just its own inventory but that of channels belonging to Viacom, including Channel 5 and Discovery. It generated ad revenues of £540m in the UK and Ireland in the year to 30 June and a further £377m in Italy, Germany and Austria. 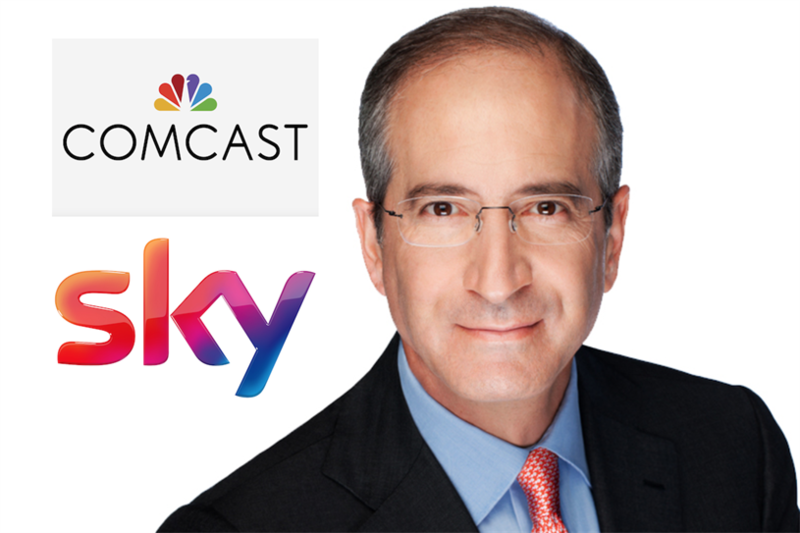 Comcast’s final bid represents a premium of 65% to the £10.75 per share level at which Sky’s board agreed in December 2016 to recommend an offer by 21st Century Fox to buy the 61% of the company it does not already own. Regulatory concerns delayed the deal, which remained uncomsummated when Fox chief Rupert Murdoch agreed the $66bn sale of Fox’s entertainment assets to Disney in December 2017 and when Comcast gatecrashed with a £12.50 per share offer for Sky in April.